Arizona Golf Schools feature one to one and four to one instruction, by PGA, LPGA and PGTCA teaching professionals. With over 25 years experience in the golf school business we have many of the country’s best and most experienced PGA, LPGA, and PGTCA golf instructors. 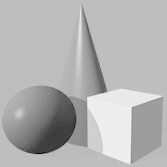 With a relaxed easy to understand instructional program based on your individual needs, V1 video, and long lasting fundamentals. We believe that it is vital to spend time learning the game where it is played. Each afternoon is spent with your PGA instructor on the golf course, learning from the men and women who have successfully experienced what all great players have learned, lasting fundamentals. Because over 50 percent of this game is played within 100 yards of the flag, we devote half the on-course time to improving your short game skills; pitching, chipping, putting, and bunker techniques. As one of the best golf courses in all of Arizona, you will play on a world class layout that provides, “A golf experience to remember for a lifetime.” In 1995, Robert Trent Jones Jr. made his Arizona debut joining an elite list of world class architects who have left their mark in the desert southwest with the opening of Las Sendas Golf Club. 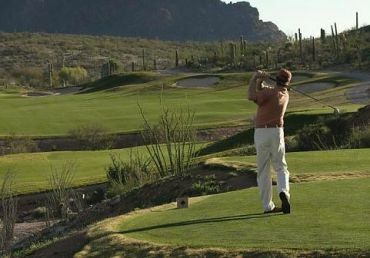 A demanding desert-style layout winding through the Usery Mountains in eastern Mesa, this upscale course is setting the standard for customer service in the Mesa, Scottsdale, and Greater Phoenix areas. 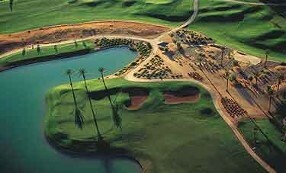 The Palm Valley Golf Club of Arizona sits about 30 minutes west of Phoenix in an up and coming city called Goodyear. One of Palm Valley Golf Club's most valuable assets that set it apart from other Phoenix golf courses is its diversity in play. 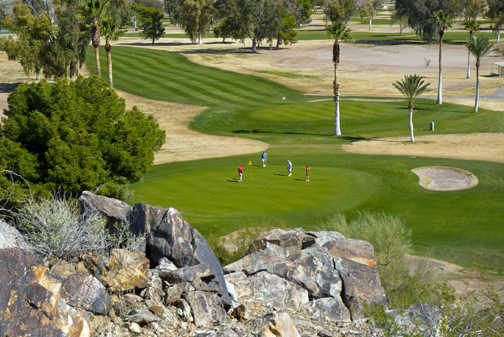 Whether you're an experienced golfer seeking a serious challenge or a new or junior player looking to polish your game, Palm Valley, housing two of the top Phoenix golf courses, offers golf just the way you like it. 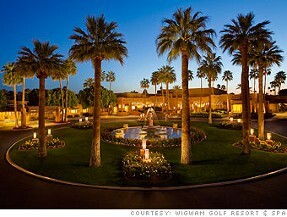 Only minutes from downtown Phoenix, Palm Valley is one of the most complete golf facilities in the entire Southwest. 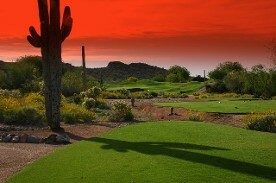 In fact, Palm Valley offers 36 holes of great golf. Beloved by generations, this Arizona landmark and Historic Hotel of America couples historic charm with a truly modern sense of adventure. Relax in the elegant comfort of 331 casitas and suites, but be sure to carve out time for our legendary golf, superb spa, four pools - including a new 25-foot tower with twisting water slides - distinctive cuisine and innovative, Arizona-inspired programming. Crooked Tree G.C. is a wonderful, traditional layout with generous fairways, small greens and ample chipping areas that surround the green complexes. 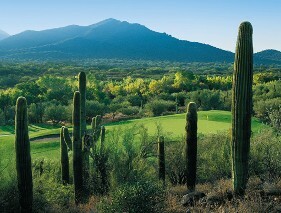 The course sits alone among the ironwoods, mesquites and saguaros of the Sonoran Desert. 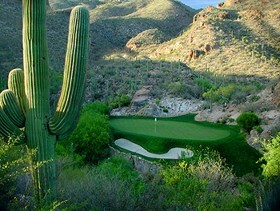 There are no homes lining its fairways- only the rugged beauty of the desert southwest. 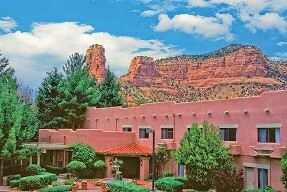 The Hilton Sedona Resort & Spa hotel is just 90 minutes north of Phoenix, AZ with the Grand Canyon two and a half hours away. 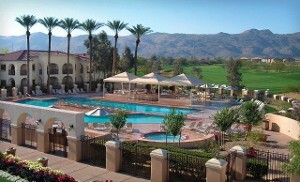 Hilton Resort & Spa hotel golf school sbtudents visiting Sedona, AZ can enjoy exquisite two room suites or deluxe guest rooms featuring high-speed internet access and their own fireplace and private balcony or patio. , plus well-conditioned, sloping green complexes, Sundance presents a challenging yet enjoyable golf experience. 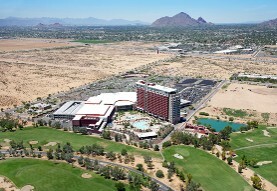 Outstanding views of the Tank and Superstition Mountains add to the allure.ctly below the red rock splendor of Sedona. You won't find a more spectacular setting to play and learn the game of golf! Enjoy 2, 3, or 5 days of the absolute best golf instruction and scenery that you will ever experience. This family-friendly condominium resort is located on a lake, close to London Bridge, Aquatic Center, and Windsor Beach. 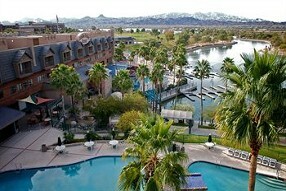 Also nearby are Havasu Regional Medical Center and Lake Havasu Museum of History. In addition to 3 outdoor swimming pools, London Bridge Resort features 3 restaurants, a golf course, and a marina. Flat-screen televisions include premium cable channels. Guestrooms also feature beds with pillowtop mattresses, kitchenettes, and complimentary wireless Internet access. CALL TODAY 800 756 5052 OR 843 333 3230 FOR WEEKLY SPECIALS!